Gutzy Gear Review – Fun for Back to School! Gutzy Gear sent us an awesome package for the kids to have a fun party expressing their own style and personality on their backpacks for school! Gutzy Gear is a very cool accessory to add to any kind of a bag with a strap (messenger, backpack, tote, duffel bag, etc.) that you can use for school, camp, or any activity! Your kids can also have fun swapping, sharing, and trading with their friends! The Gutzy Gear starter kit includes: 2 backpack strap covers and 1 Gutzy patch. 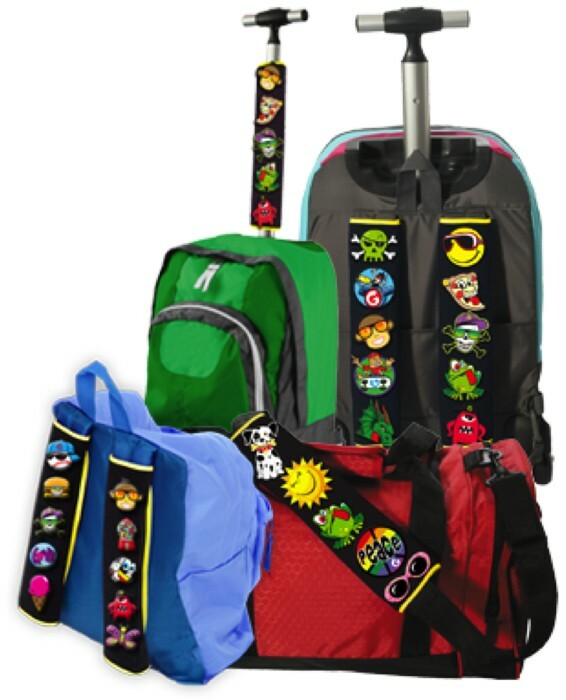 The patches, known as Gutzies, are velcro and can easily be attached to the Gutzy backpack strap covers. You can remove them and reuse them as much as you want! No sewing required! After you have purchased the starter kit, you are able to purchase packages with 2 Gutzies in them. They even have character Gutzy Gear patches like Spongebob SquarePants, Spider-Man, Avengers, Monster High, and Sonic! These fun patches start at just $4.99 and the starter kit is $9.99 with 2 surprise Gutzies included! 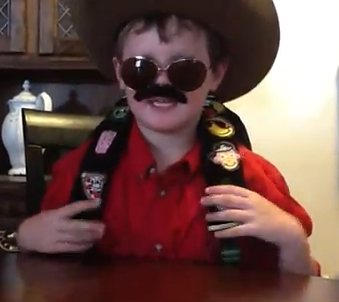 Watch the Bandit below showing you how he got creative with his Gutzies and he’ll teach you all about Gutzy Gear! We absolutely loved the Gutzy Gear. It’s a really great way they can “design” their own backpack without sewing and express their personal style. I love that they aren’t too expensive too Once you buy the starter kit you can add as many or as few Gutzies as you want. He had a lot of fun just removing them and reattaching them. The Gutzy website also offers a lot of fun and creative games and other great activities for kids! We also loved the fun Gutzy Munchies recipes they included in our kit, including Cool Joe’s Lemonade with Cool Cubes, Cheesy’s Pizza Bar, and Patty’s Patty Burgers. Besides, having Gutzy definitely can make you work up an appetite! We give Gutzy Gear an A+! Shop online for Gutzy Gear! Enter to win your own Gutzy Gear Party Pack!